One of the greatest things about my job is sometimes I get introduced to places that I have not heard of and are right on my doorstep. I then think to myself why have I not been here before? The Vercors Massif France is that type of place for me, it is an outdoor adventure paradise with everything from electric biking riding, caving to skiing in winter. 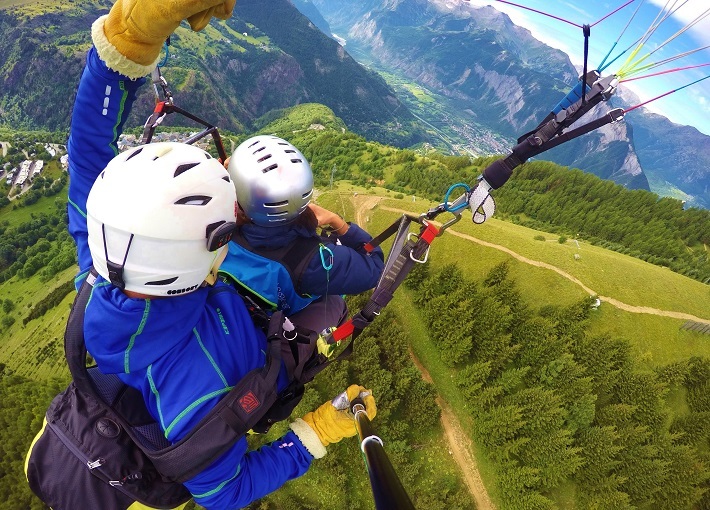 With Electric biking becoming increasingly popular worldwide and the introduction of cheap flights to smaller airports like Grenoble Airport. Tourism is bringing in a different type of outdoors market changing and redefining tourist landscapes. One of these areas is Vercors Massif. Less than an hour from Grenoble Airport the Vercors Massif is an area of mountains and plateaux in south-eastern France and in the Rhone Alpes region. 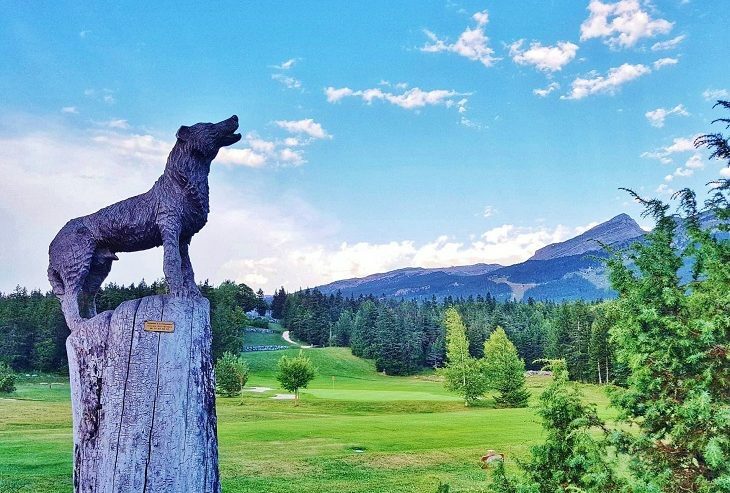 It comprises of a 135,000 hectare natural park known as Vercors Regional Natural Park set beside the Alps and lots of little villages scattered around that take advantage of this natural beauty, like Villard de Lans and Austrans Meaudre. Mountain bike riding isn’t just a sport or hobby to a lot of people, it is a way of life. With the introduction of Electric Bikes people can go further and access areas that were not possible before. Meaning that everyone now has the opportunity to enjoy mountain bike riding too. Electric Bikes (known as E-Bikes) have an integrated electric motor that works with the gears on your bike to assist and give you more power when pushing forward. It is like having an extra pair of legs that does all the hard work for you when pedalling, making your life easier especially when going up a hill. 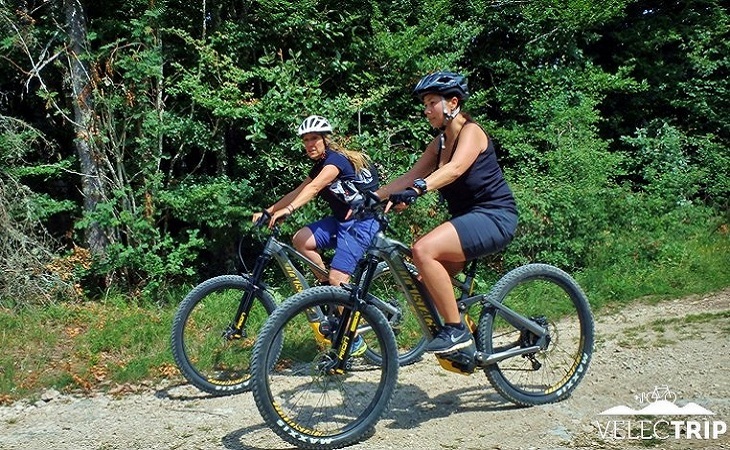 A great way to see Vercors Massif France lush green forests, hills and villages with family or friends is by using Electric bikes. 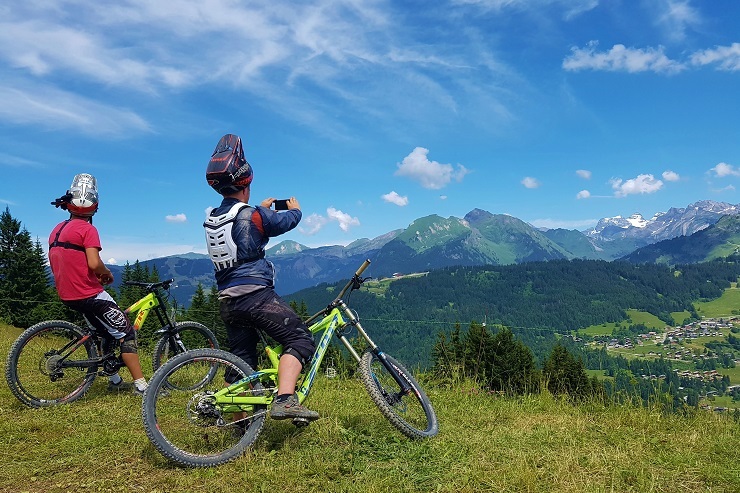 With more than 700 km of biking from the welcome centre in Villard de Lans to the Colline des Bains, you will not run out of places to explore on your bikes. We met our guide Loïc Mercier and his assistant from Velectrip at the main car park of Villard de Lans, where the electric bikes were charged and ready to go. From there we went past Espace Villard de Lands Correncon, through a local village, across some fields on a purposely built bike track. We had a short break at the golf area and also the biathlon training centre, where we met the manager and saw some of the athletes training for the winter season on rollerblades. This was such an interesting place to take a stroll around and I was surprised to see so many families and people about enjoying the walkways and pretty area. 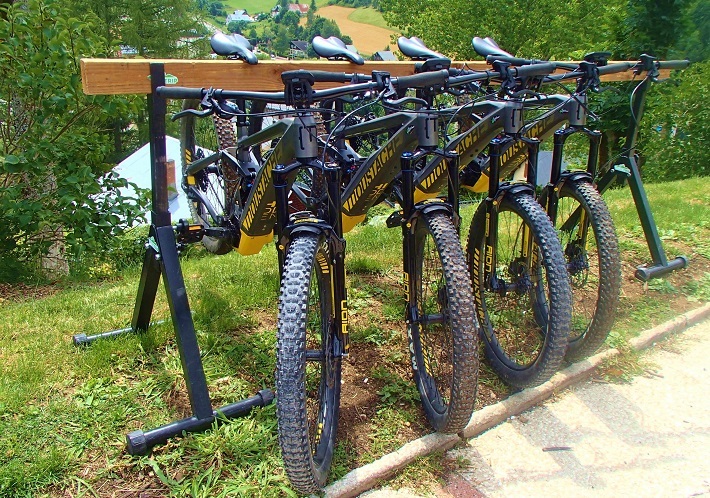 I have used e-bikes before in both Galicia Spain and Morzine France and I really enjoyed it. Especially as I am able to get to places that I would not usually get to with a normal mountain bike. If you ever get the chance to use them then definitely try it, I promise once you get on one you are not going to want to go back to a normal bike again! Helmets – Will be provided if taking a tour. Please let them know your size beforehand if you can. Make sure to wear comfortable shoes, preferably trainers and take a bottle of water. I do not know about you but caving reminds me something out of the Indiana Jones movie, ‘Raider of the Lost Ark. 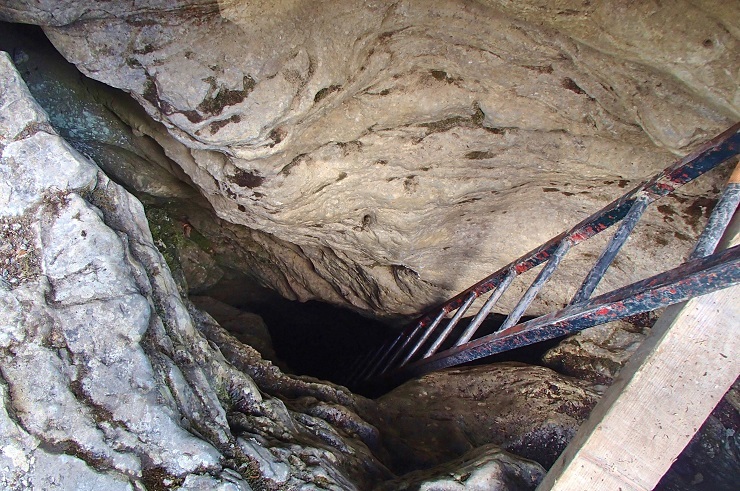 The Vercors area is scratted with caves and valleys and have been used for various things over time, like during World War II for a safe and defensible position. These days, however, you can go caving through some of these networks of caves with a qualified guide either with friends or even family. You can even go canyoning if you want to add on a different type of excitement. I had never been caving before and I have to admit that I was not to sure what to expect. We met our guide Christophe who took us into the forest near the entrance, where he made us practice crawling over and under trees before going in. Then we kitted up with our waterproof suits, helmets, gloves and head torches. Once we were standing next to the entrance of the cave (a dark cold hole in the ground) with the ladder appearing just outside. That is when my adrenaline started to kick in and I thought will we get trapped, why did I agree to this? The guide looked at me and reassured me that everything will be ok and to relax. I climbed down the ladder first into what I thought was like an abyss and waited for everyone else to join me. I do know what it was but as soon as my feet touched the ground I actually felt pretty comfortable and was ready to explore. We set off with our guide, going over rocks, going under rocks, through water, while at the same time stopping so our guide could explain to us about the cave and its history. The more relaxed I became the more I enjoyed myself. We were down there for about 45minutes before we headed back to civilisation. Even though I had a lot of fun, I was happy to see light and be back on normal ground. Now caving is definitely not for everyone. 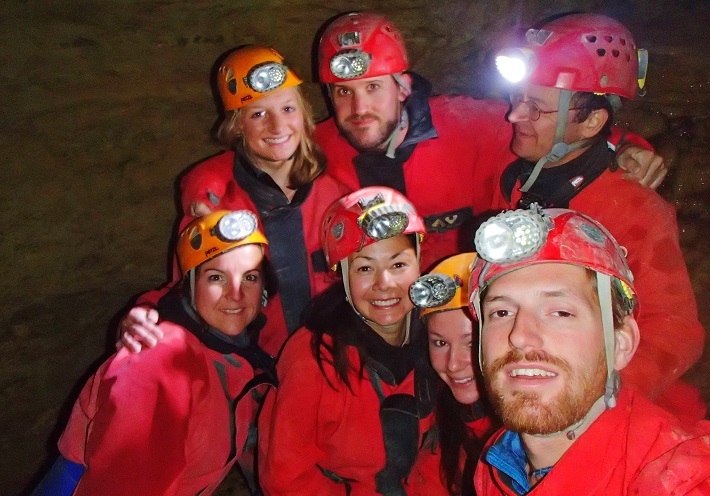 But if you are looking for an adventure and something you will be talking about for days, then you should really consider adding caving to your bucket list. 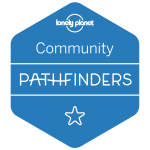 Especially in Vercors Massif, where not only will you have an amazing time but you will be in the care of great guides. Enquires – You can speak or book with the Autrans Meaudre tourism office. Please do not try going in these caves without a qualified guide who knows the area. It is too dangerous. 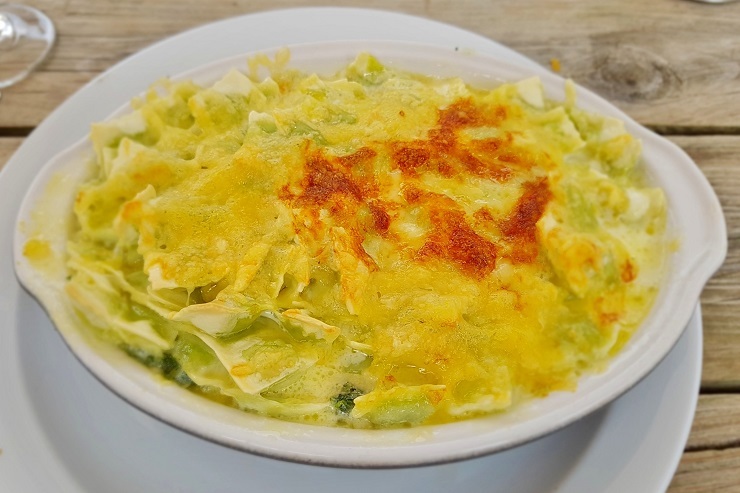 Now if you are looking for home cooked, healthy, filling and very tasty food then you can not go past Refuge de Géve. Not only was it a relaxing place to be, the staff were welcoming and the service was great. The Refuge (as you can tell by the name) is somewhere you can also say the night after a day of hiking or cross country skiing. They even have a gorgeous white dog that likes to come and say hi when you are outside eating. After our fun afternoon of e-biking, our dinner was at the charming French log cabin restaurant Le Clariant. A self-sufficient restaurant that ran on solar-power and where rainwater is collected from the run-off and stored in tanks under the terrace. I just loved everything about the look of this place both outside and the inside of this log built cabin, with its beamed roof, huge fireplace with comfy seats around it, to the general decor. I felt like I was in someone’s expensive Ski Chalet. There was even a glass-covered shaft that descends 20 metres into the earth which you could stand on. It was a great way to end an amazing day, having a delicious homemade dinner paired with local French wine talking with my new friends. It is around a 20-30min easy walk on a footpath through the forest. Wear comfortable shoes. 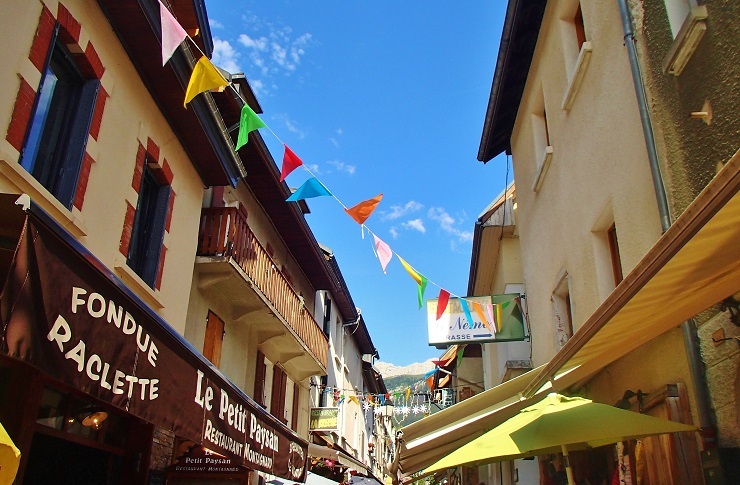 My base for the trip was the charming village of Villard de Lans Vercors Massif France which offers the largest amount of available accommodation in the Vercors Regional Natural Park. 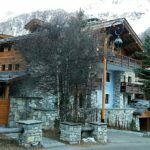 I stayed at the lovely Le Grand Veymont hotel for the night, which was centrally located in the village of Villard de Lans and in walking distance to the local market and restaurants. 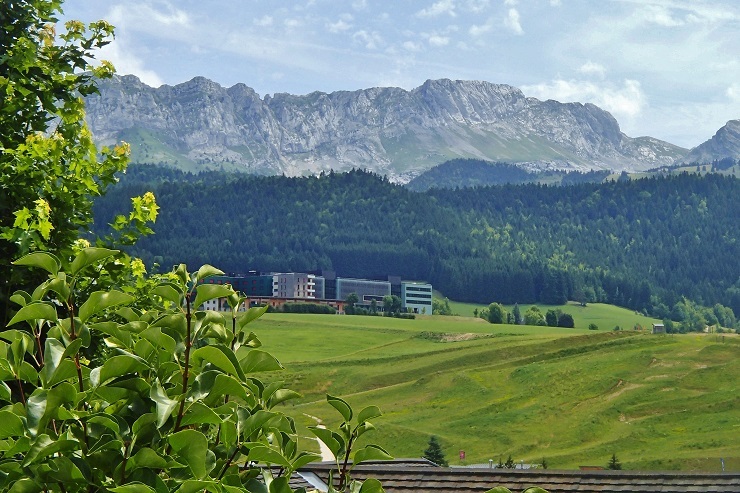 It is within a 10-minute walk of Villard de Lans Aquatic Center and Villard de Lans Toboggan Park. The hotel featured a bar/lounge with both an indoor an outdoor area with a terrace, a yummy continental breakfast, Free Wifi, as well as a couple of mini-golf holes that you can use. My apartment was modern stylish and huge and I could of comfortably fit all my ski gear in here during winter. It had a separate lounge, fitted kitchen and a balcony that not only overlooked the garden but the mountains too. I also understand that the hotel offers ski storage space during the winter period. Why don’t you enjoy the free mini golf that is in the garden of the hotel after your day of exploring. The village of Villard-de-Lans is situated within the Vercors Massif area France and the closest international airport is Grenoble. Which is roughly 1hr & half drive via car or about 50kms. Flights from London are roughly 1 hour and 40mins, making it super easy to get to and great if you want to go for a weekend trip. I flew with Ryanair and they now have three flights to Grenoble every week during summer. If you want more regular flights then Lyon International is also an option and is 100kms away from Vercors Massif France. Villard-de-Lans also has a skating rink, a bowling alley, stables, swimming pools, a trampoline centre and canyoning and white-water rafting nearby. Visit the biathlon training centre and see Olympic athletes practise on roller-skis around the 14km track. If you are interested in discovering more of the French Alps or other destinations in France, feel free to read my following articles. All are great options for groups of friends or family, especially who love the outdoors. 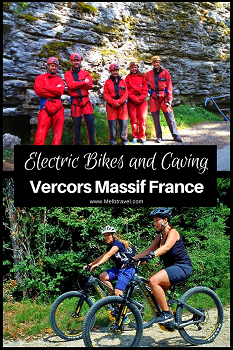 Thank you for reading this article ‘Electric Bikes and Caving in the Vercors Massif France’, I hope it helped you to decide what to to do while visiting the Vercors Massif area. Have you been to Vercors Massif France area before in either summer or winter before? Please feel free to share your experience in the comments below or if you know any other places to see while in the area? Disclaimer: Even though I was invited by the France Montagnes All views are my own and based on my own experience of Vercors Massif France. How interesting! I had just posted an article about e-Bikes and I am an absolute fan. I think it is great that they can be hired now on trips like the one you describe here. Cycling is such a great way to explore and having the “extra pair of legs” takes the chore out of it. Not so sure about caving though! I am slightly claustrophobic so a bit nervous, although I have to admit it does sound like fun. Thank you for the restaurant and accommodation tips also. We are skiers so will definitely check them out. I became a fan of the e-bike last year when I went to Spain and now I am keen to use them in all different places. I am claustrophobic to so I was not to sure on the caves but to be honest, they were a lot of fan and I definitely recommend it. Wow, would love to follow this route! not just for the views but also the food – looks so yummy! Great trip. Caving in Vercors looks interesting. I’ve been in a lot of caves by never caving. I have been in a few caves too but not like this before. I really enjoyed it and it definitely was an adventure. I went e-biking in Switzerland last year on the Herzroute and it was just fabulous! (Never not e-biking anymore, LOL.) This route looks awesome! Caving! Crazy! I did it once when I was a kid and fearless, I don’t know if I’d have enough guts to do it now. I go to grenoble almost every year to visit my in-laws and I never thought about the e-bikes. 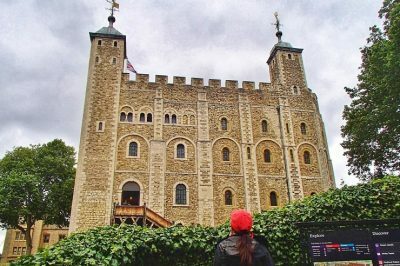 I should try it on my next visit, it looks really fun! Thanks for sharing! Yeah I was not to sure about the caving at first either but it was a lot of fun, once I was all relaxed. E-biking is definitely a lot of fun and highly recommended it in the area. I love biking and caves so this trip looks right up my alley. French caves (in particular cave paintings) have been such an integral part of the caving community that caving in France would almost be a pilgrimage. I have a Petzel Duo on my caving helmet at home too. (another French company). In my heart, I would love to peddle without the electronic assist, but sometimes you just have to go with the flow and enjoy the sites. I just love cave paintings they are so interesting. Your story is just so very interesting there is an area in France that has famous caves in but you can not go into them. This area looks absolutely beautiful and I would love to ride a bike along the trails here. Then a dinner and relax near the fire pit at Le Clariant would be an awesome way to spend the evening! I imagine it’s a completely different city in the winter during ski season, but how cool to visit it in the summer too, to see it’s other side! I’m totally with you on the discovering places that are right on my doorstep. I’m so good at discovering places so far away and not knowing what’s right under my nose! Since I’m not a biker and don’t typically enjoy it, E-bikes would totally be the way to go for me! I do think it would be totally beautiful to bike through somewhere pretty like Vercors Massif France. I think the price is pretty reasonable! Also, I have never been caving before but it looks really cool. Did you feel claustrophobic? That is my only worry with caving I think. I totally agree with you on that one. I seem to discover so much that is not on my doorstep. I am making it my mission this year to discover more at home. 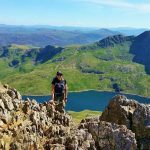 This looks like the most perfect town for an adventure holiday, we love caving and biking so this would be right up our street. Looks like there would be plenty of opportunity for hiking and climbing too. I really liked the area and I couldn’t believe how much there was to do while there. I’m a big fan of electric bikes too so this looks like a great trip. The caving would scare me a bit but it definitely sounds interesting! I have been looking to do caving with some buddies. Thanks for highlighting this place. 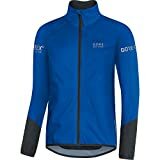 I am a pretty avid cyclist so for me, I have yet to opt for trying an E-bike as I love the feeling of being able to stamp on the pedals to power up hills. However, I absolutely believe in their value and have been on trips where others who would never be able to pedal up the hills I was on were able to enjoy the same trip. 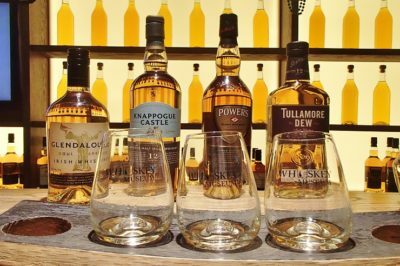 One of these days, I have to give them a try. And caving … good for you! I love caving, though there is a high level of trust in both your guide and yourself to be able to undertake. I think now that I have used an E-bike, I will never do a normal bike again. Ok maybe I am being a little lazy there but I really enjoyed using them once I had the gears down. I totally agree with you in regards to the trust in your guide, I was scared at first but I had complete faith in him. I’ve never done an electric bike but it definitely looks like the way to go. The pictures look amazing too. Oh you will definitely have to try it at least once, I have also done it in Spain for two days and really enjoyed it. 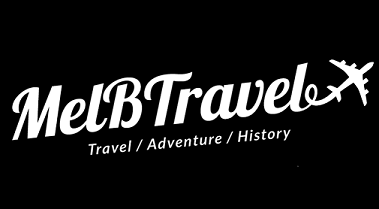 Hello Mel, I connected with you through Twitter and must say, you have a great and comprehensive resource for travelers. I now understand I had taken more of walking tours while I wandered around Cape Town, but had seen other travelers riding up the Table Mountain routes on bikes. Vercors Massif is such a beautiful place. 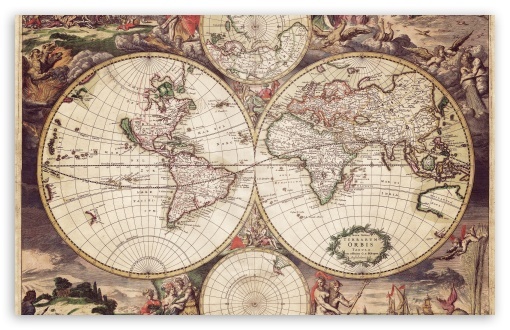 And on top of that there are so many avenues for adventure. Electric biking in the beautiful terrain looks really appealing. Caving is of course a thrilling activity and I guess that is something that I would really jump at.. All in all a great place for some great times. Thanks Sandy it was so pretty there and definitely great place for a summer holiday. A friend of mine was just telling me about these electric bikes, I have to check them out! And hopefully I can find a creme brule like the one you pictured to keep my strength up at the end 😉 Thanks for the tips! I got into the Electric bikes late last year and they are just so much fun, once you get used to the gears. The creme Brule was very yummy. This place is every adventure junkies’ paradise, Mel! 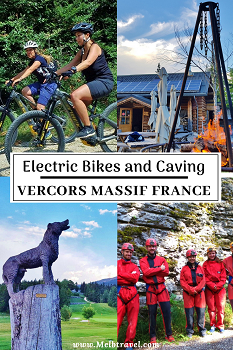 This is the first time I am hearing about the Vercors Massif France and electric bikes seem like the perfect means of transport to explore the place properly. 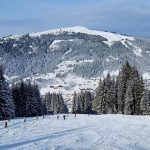 When’s the best time of the year to explore Vercors Massif France?